Brace for impact: Facebook is reportedly going to roll out sponsored videos in your news feed. Here are a few ways you can lessen the pain and annoyance. When developments like this occur, there are droves of Facebook users who resolve to permanently delete their Facebook accounts when the big one hits. But if you haven’t already quit Facebook, you aren’t likely to anytime soon. Because face it: Facebook is now a part of life for many of us. I, for one, won’t be abandoning Facebook. And while I am a bit concerned about the annoying factor of video ads, I think I’ll be able to manage. As with most advertising on the Internet, I expect there to be ways to opt out of auto-play Facebook video ads—both officially and unofficially. Last year, Austin wrote up an excellent tutorial on How to Improve Browsing Security in Chrome by Enabling Click to Play. This disables all plugin content—be it Adobe Flash, Microsoft Silverlight, Java or other browser plug-ins—until you click the widget or player to enable it. In essence, it blocks auto-play. This could come in handy when Facebook rolls out auto playback videos. 1. Type about:config into the address button. 2. Read the warning and click the “I’ll be careful” button. 4. Double-click the plugins.click_to_play preference name to toggle it to true. So, you can’t delete your birthday. But you can make the data less useful to advertisers by pretending to be ancient (that is, up to 106 years old—apparently, Facebook has something against people older than 107, not to mention intersex people). What I hope this will do is screen me out of certain targeted ads. I don’t know if “males over the age of 100” is a big demographic for marketers. I imagine it has to be smaller than the demographic I am truly in. For the mobile Facebook app, you won’t be able to enable click-to-play like you can in Chrome or Firefox. But if Instagram’s InstaVid is any precedent, you should be able to disable auto-play videos in the Facebook app once it rolls out. Remember, Facebook bought up Instagram, and it’s highly likely that they’ll leverage the same technology for their commercial auto-play videos. In the Instagram iOS app, disabling auto-play videos is as easy as going into your preferences and turning Auto-Play Videos off. I expect it to be that simple for Facebook, too. Anyone? Anyone? Come on, groovyPost is on Google+. 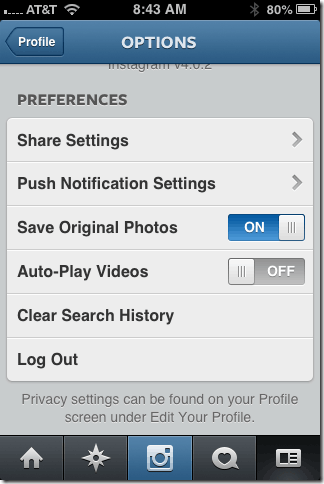 Of course, we are aware that there is no shortage of Google+ privacy issues, but it’s always nice to have an alternative. The above steps are the ones I’m going to take if and when Facebook starts getting aggressive with its video ads. But I’ll admit I am not a particularly heavy Facebook user, so it may not be much of a battle for me. What I’m really curious about is what you are going to do and what your experience with Facebook’s auto-play video ads will be. So, would you like to do me a favor? Let me know what you are doing to combat invasive Facebook ads. And in a few months or a year or however long it takes for this to shake down, let me know how it worked out. I’m very curious. And the more knowledge and data we collect, the better we can collectively help others make Facebook as non-annoying as possible. Email me or leave a comment if you’d like to throw in your two cents about Facebook advertising. Did this and it stopped Pandora and Jango dead in their tracks. Won’t play anything. How shall I decide….? Hmm. Nice music or inane Facebook drivel. Tough choice I know, but, I think I’ll stick with the music. NoScript extension for Firefox is a great option. That’ll keep you from seeing any ads, video and others. Another option, which in some ways is better than the “click to play” idea presented here, is the FB Purity browser extension, the good thing about it, is that as well as having an option to allow you to disable the autoplay, and return the videos to click to play, instead of leaving a grey box where the video would have played, it changes the video back to an image taken from the video, so it gives you a preview of what the video will look like before you click it. 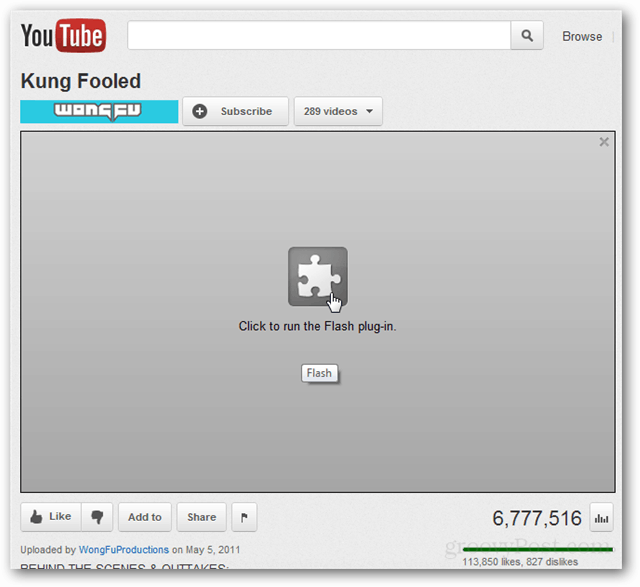 This saves time as it means you dont have to click each video just to see what its contents may hold.